The product line is formulated with the latest professional technologies, boasting a portfolio of more than 150 colours and special effects. Nails Inc's award winning Gel Effect formulation offers customers a great alternative to the professional Gel manicure - giving the same high-gloss, plumped finish without the need for UV. This new coconut fragranced nail polish remover pot eliminates the hassle and mess. No Need to use cotton wool simply use the remover remover to clean your nails. simply dip and twist your fingers inside a pot lined with pre-saturated sponges. aunching 15 years ago, the once small British brand was founded by young entrepreneur Thea Green. After travelling to the US whilst working as Fashion Editor at Tatler, Thea spotted a gap in the UK market for professional high quality manicures and a more fashion forward range of products for women with little time. Nails Inc has become an award winning nail brand famous for catwalk colour, fashion collaborations, innovative special effects and immaculate professional manicures. With nail bars all over the UK, Nails Inc is now the UK's number one nail bar chain. Showing 2 of our total 5 reviews, with an average rating of 5 stars. 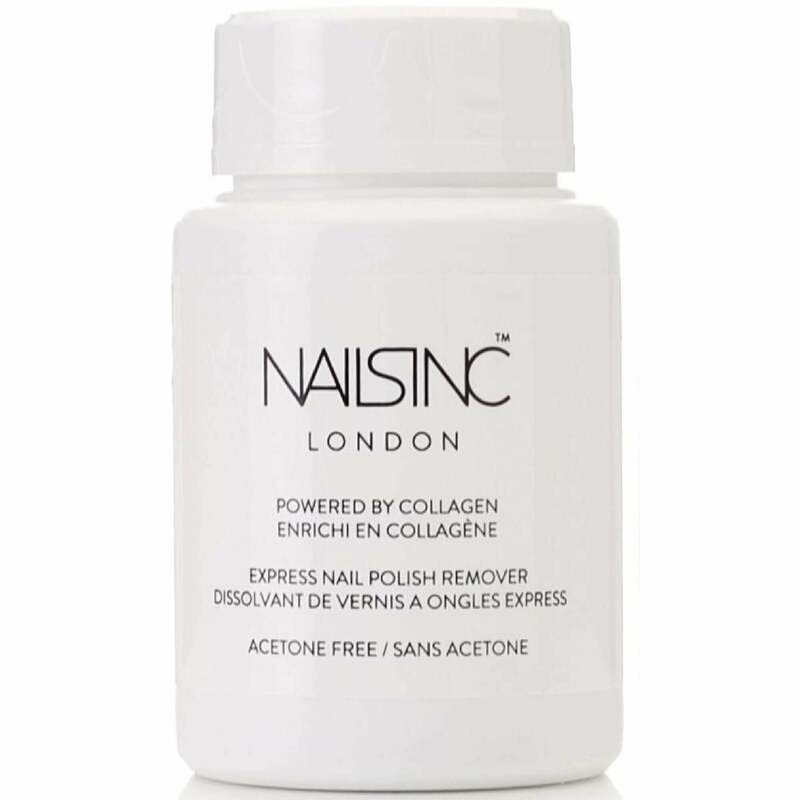 Read all 5 reviews for Nails inc Collagen Express Acetone Free Nail Polish Remover (8522) 60ml. I love this Nails Inc product as it is so easy to use, just put your finger in the bottle twist a few times and the polish comes off easily and cleanly .